This is the chicken dish I made with the Ethiopian spice blend berbere. It is to live for delicious. First I gathered together all the goodies I'd need. 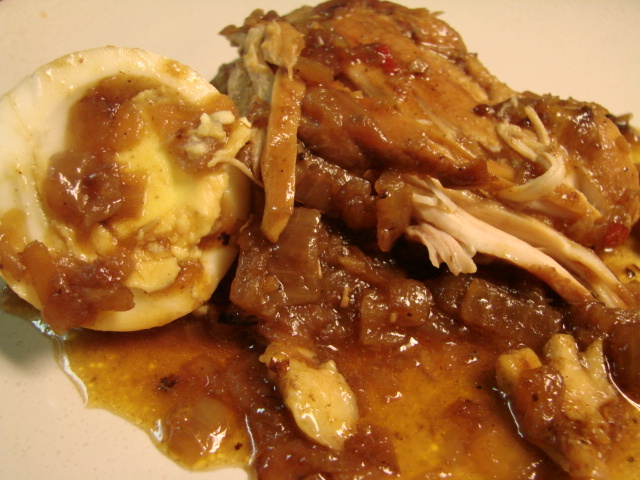 Chicken, berbere, garlic, ginger, onion and eggs. Let's bring Ethiopia into our kitchens. 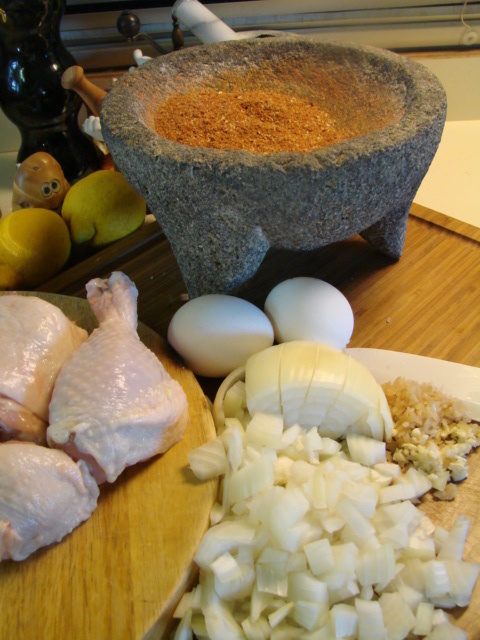 Add the berbere, water and chicken. I took the skin off the chicken later. 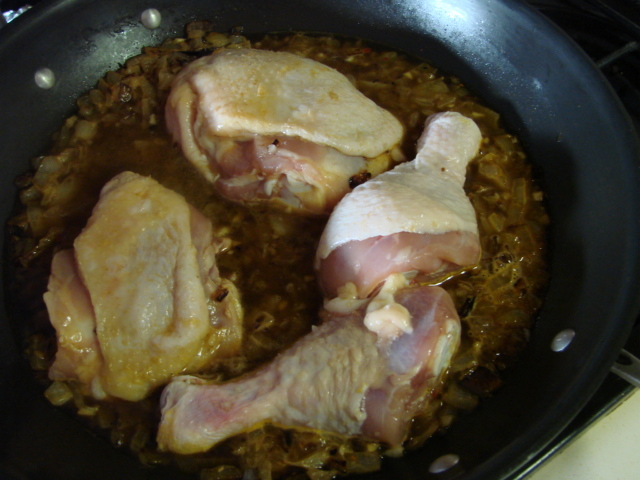 I am guilty of sometimes skimming recipes, and I missed the part about using skinless chicken. Cover and simmer. 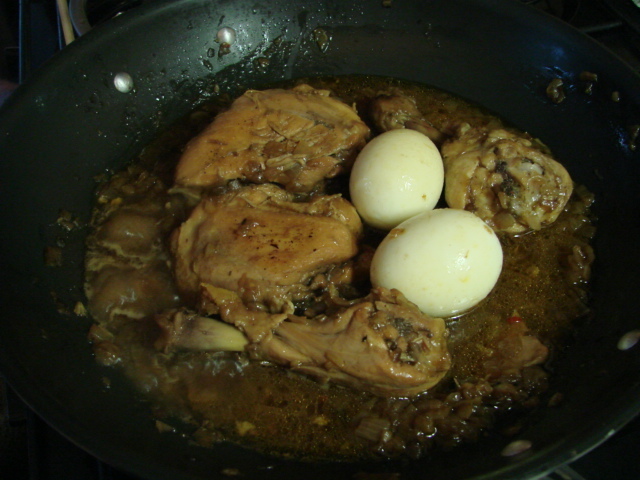 Uncover, crank up the heat to thicken sauce and add boiled eggs to heat them up. Delicious. This is a dish that you will develop a craving for. The spices are a beautiful blending and linger a while on the palate. It is traditionally served with injera, an Ethiopian bread. I haven't made the spiced butter yet so I used unsalted butter. 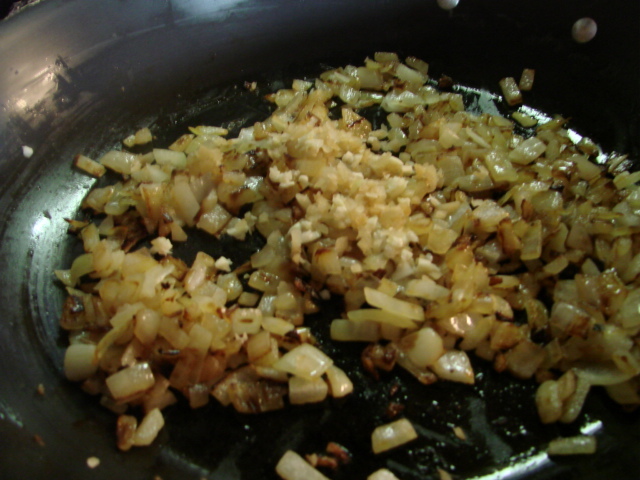 Heat butter in a large straight-sided skillet over medium-low heat. softened, 6-8 minutes. Add berbere and 2 cups water; stir well. chicken is cooked through, about 40 minutes. salt if necessary. Serve hot with the injera. airtight container; store in the refrigerator for up to 3 months. Add the chiles de arbol and grind with the other spices until fine. Transfer the mixture to a bowl and stir in the rest of the spices. Store in an airtight container for up to 6 mos.